For this writer, the antics of Laurel and Hardy conjure up memories of Saturday mornings spent with my grandfather, watching the legendary comedy duo's short films on AMC (back when they actually broadcast real American Movie Classics). Every Laurel and Hardy fan has their own story to tell, of course, but for the generations who grew up with these two gentle comics since their first pairing at Hal Roach Studios in 1926, there was no one more reliably funny or more charmingly relatable. The film Stan & Ollie shows us a different side of the comedy team. 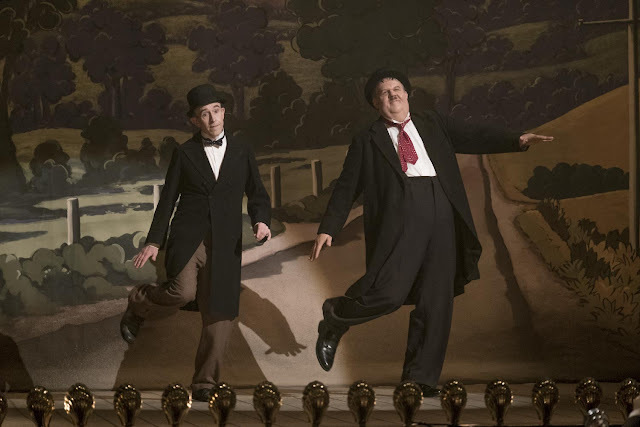 By the time we meet Stan Laurel (Steve Coogan) and Oliver Hardy (John C. Reilly), the glory days of the 1920s and 30s are behind them, and the two men are now coasting on the fumes of their celebrity. The year is 1953, and the two men are attempting to jump-start their stalled film careers by taking a live tour across the UK, performing some of their greatest hits to increasingly thin audiences. There's a certain warmth and familiarity that goes along with this sort of sentimentally tinged biopic, and yet director Jon S. Baird (Filth) manages to avoid many pitfalls of the genre by reframing the narrative around a part of the subjects' lives that most aren't familiar with. Stan & Ollie isn't an origin story or a glorified "making-of" film that chronicles how they made their most beloved films. Instead, it picks up in their twilight years, trying to recapture their former glory, while at the same time reopening old wounds from Hardy's perceived betrayal of his partnership with Laurel by taking a contractually obligated picture called Zenobia without him in 1939, alongside Harry Langdon. It was a wound that would never quite heal for Laurel, and it serves as the crux of the drama in Stan & Ollie. There's a kind of elegiac charm here that is hard to resist, as two lions in winter set out to prove that they're still viable so they can make one last film that will never be. Coogan and Reilly are both excellent as the iconic duo, indelibly capturing their famous rapport with a beautiful mixture of imitation and homage. It captures the gentle spirit of Laurel and Hardy while taking a peek behind the facade to explore both the tension and the true love and respect that made them who they were. Stan & Ollie is the kind of film that derives from a true passion for its subjects, borrowing snippets from some of their most famous films (fans will surely recognize callbacks to County Hospital and their Academy Award winning The Music Box) without feeling as though it's simply wallowing in nostalgia. It's a warm-hearted and loving ode to one of the greatest comedy teams of all time that manages not only to capture the spirit of its subjects - it reminds us why we fell in love with them in the first place. 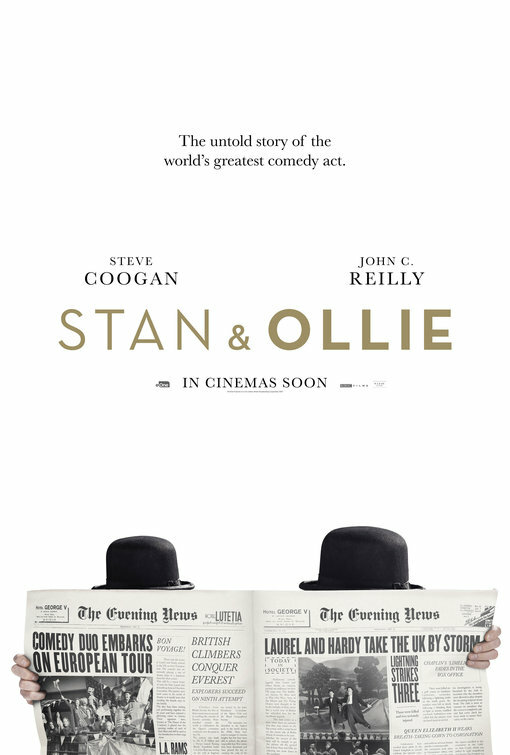 STAN & OLLIE | Directed by Jon S. Baird | Stars Steve Coogan, John C. Reilly, Nina Arianda, Shirley Henderson, Danny Huston, Rufus Jones | Rated PG for some language, and for smoking | Now playing in select theaters nationwide.